There are various reasons I find the impetus to recap. A burning desire to write about something whether to gush or to vent is therapeutic either way. Wanting to jot down what happened in a drama because the plot is so gosh darn interesting. A platform to screencap the heck out of a favorite actor or actress and then plaster it all over my blog. You get the drift, yeah? 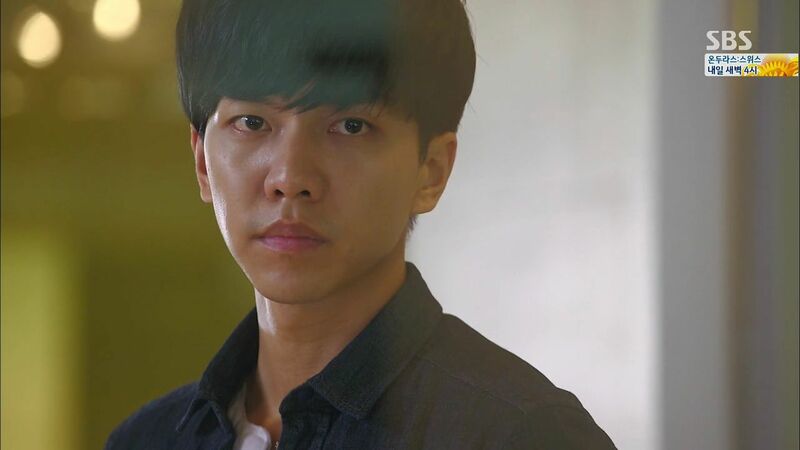 My recaps for You’re All Surrounded mirror this rather unremarkable drama, it’s just there with nothing more beyond the four corners. That’s neither fun for me to write and clearly not as engrossing to read. Crazy like Dr. Stranger elevates the recapping and commenting experience to a level of interactive batting practice. YAAS is like a Tuesday afternoon regular season MLB game with no divisional stakes and two good pitchers trading off keeping the bases empty. That’s why I’m switching to baby recaps for this kid from here on out. It’s so late in the game I don’t want to drop recapping totally, especially since the story is finally crossing over to the big build up cascade of the main conspiracy. This will allow me to drop some commentary each week without scribbling each tiny detail that frankly is just plot filler. Episode 13 brings Soo Sun’s mom to the forefront as a victim and makes the job personal for Soo Sun and her rookie team. Having captured Killer Boots and seemingly putting his mother’s murder behind him allows Dae Gu the breathing room to stop being a vengeful sleuth and start interacting more with his current environment with eyes wide open. His partnership with Soo Sun has settled into a comfortable cadence and his personal feelings for her start to bubble to the surface. He cares about her a lot, which in drama land means he likes her, but I much prefer to think that Dae Gu is finally making the friendships and interpersonal connections he’s been lacking during his orphaned years. I enjoy watching him reach out proactively and care about Soo Sun’s mom being victimized and then work hard to comfort mother-daughter without being too obvious about it. The case also ties Soo Sun’s mom’s attacker to Dae Gu’s mom’s attacker as evidenced by the neon light hints that Congressman Yoo’s daughter Madam Yoo is knee deep involved in the Masan case. It’s nothing surprising but she makes for a great villain to hate, and together with her scary powerful amoral father, the one-two punch that Dae Gu and Pan Seok need to band together to bring down. That’s the tasty drama stakes to sink my teeth into. Dae Gu pays a visit to Madam Yoo to question her over the viral video of her beating Soo Sun’s mom. He encounters the whole family at the house including Madam Yoo, her husband, their son, and Madam Yoo’s rich and powerful father Congressman Yoo (also formerly the Police Commissioner). Congressman Yoo restrains his fury at watching the video of his daughter wailing on Soo Sun’s mom, clearly upset she once again lost her temper and created a mess he needs to clean up. He still steps in to help her and gets Dae Gu to leave for now and save the police questioning for a later time. The son stops Dae Gu at the front door to give him a thumbs up for daring to stand up to his powerful family. After Dae Gu leaves, the angry Congressman Yoo breaks a vase and yells at his daughter for causing him a problem when she knew he was in politics. Madam Yoo is pissed that her attack video was secretly recorded and released when she was in the VIP room and wants her husband to call the department store and complain. Congressman Yoo orders his assistant to make sure his name is kept from this at all costs. Madam Yoo’s husband is resigned like this is a regular occurence and heads upstairs after saying there is nothing he can do here. The son mutters that his family really is a pile of loose sand. Soo Sun is frantically looking for her mom and finally tracks her down at a budget motel hiding her shame from her daughter. Soo Sun and Pan Seok arrive one after the other to comfort Soo Sun’s beaten down mom. Soo Sun wants to know why her mom was attacked but her mom just says she deserved it and not to ask anymore. Pan Seok encourages her to tell the truth so that her daughter can do her job. Soo Sun’s mom explains that she was signing a form that said the damages to the expensive purse will be waived for the emotional and physical injuries and the medical bill. Soo Sun’s mom signs and then Madam Yoo grabs the purse and viciously attacks her. A VIP room attendant watches and secretly records the attack. Soo Sun’s mom hands the signed settlement form to Pan Seok and he takes it as evidence before sending Soo Sun’s mom to the hospital. The rookies hear about the horrific attack being premeditated as Soo Sun’s mom first signed a settlement letter before she was beaten. 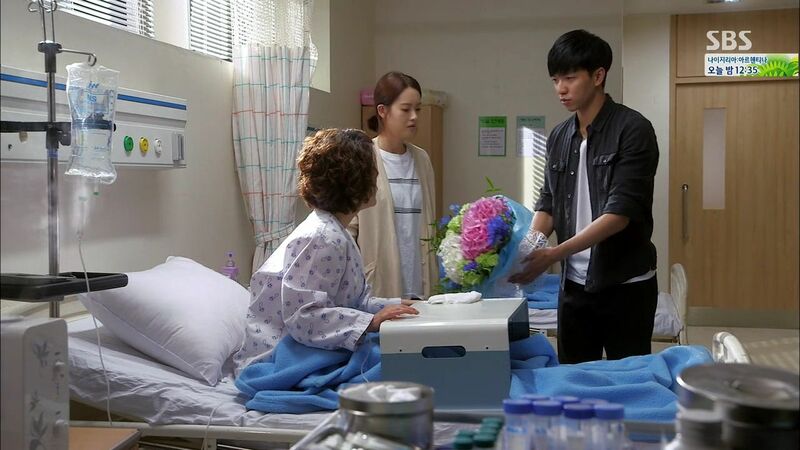 Dae Gu arrives at the hospital the next day with flowers for Soo Sun’s mom, followed by Tae Il and Ji Gook coming with porridge that Tae Il cooked for her to eat. Soo Sun’s mom has heard that Dae Gu is really long lost Ji Yong from Masan and wants him to call her mom from now on. The rookies head out to lunch together with Dae Gu eating things that he doesn’t like just to sit with Soo Sun and make sure she eats. Pan Seok holds a team meeting to discuss how to move forward with this case and how it will be near impossible to interview Madam Yoo. He wants the team to work on finding a witness to the attack, starting from locating the person who recorded the video. Pan Seok takes Dae Gu to pay another visit to Madam Yoo but the witch pointedly ignores them and breezes into her house while talking on the phone. Director Cha wants Pan Seok to be mindful of this investigation and reveals that Madam Yoo is the daughter of Congressman Yoo. He suggests this will bring problems to Gangnam precinct but Pan Seok isn’t cowed. 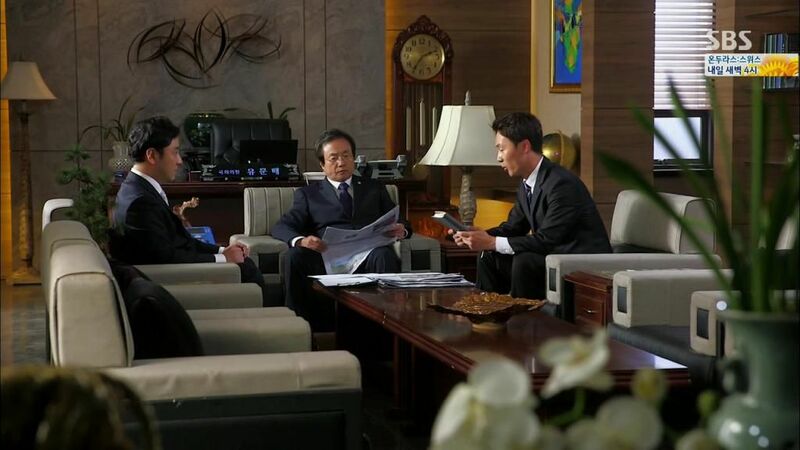 Director Cha reports to Chief Kang that Pan Seok won’t stop the investigation because the victim is Eo Soo Sun’s mom. Director Cha hilariously rails about all these things happening at their precinct like it’s in the middle of a K-drama. What’s next? A birth secret somewhere? LOL. Congressman Yoo hears that the beating video is getting the public’s goat up and can’t be swept under the carpet that easily because it’s gone viral. 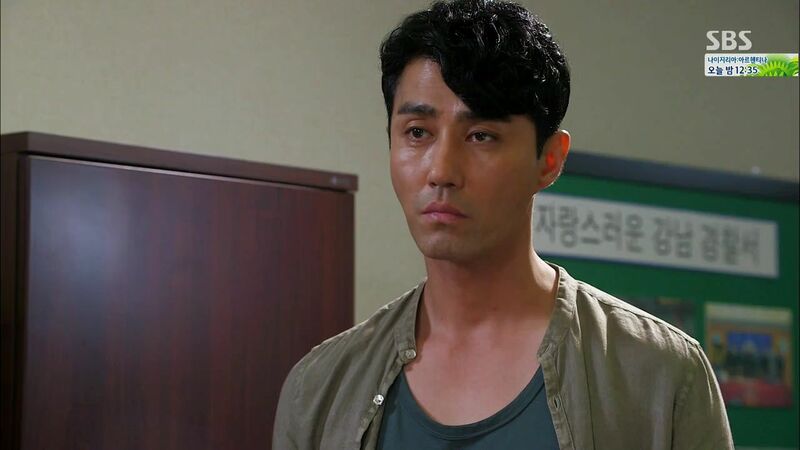 He places an angry call to Chief Kang to chew her out for Dae Gu showing up at his house yesterday. He agreed to listen to what she suggested on how to handle that boy because she promised to keep Dae Gu away from her. Chief Kang promises to take care of it and after she hangs up the phone angrily blames yet another situation on Madam Yoo. Pan Seok pays a visit to his former partner Killer Boots in jail and sits down to explain that he’s here to give him some money to spend in jail and make sure he’s eating well. He also believes there is more to this case and he wants to know what it is. The day Dae Gu arrested Killer Boots, someone else tried to kill Killer Boots and silence him forever. He also doesn’t know why Killer Boots is protecting the other Officer Seo. Plus Killer Boots doesn’t know anyone in the Masan precinct back then so how would he be able to swipe the necklace. Pan Seok asks who the mastermind is and why Killer Boots would take all the blame for that person. Killer Boots has nothing to say and reveals that yesterday Dae Gu also came but he wouldn’t see him. From now on he also won’t see Pan Seok. He wants them to stop investigating and its best for everyone. If Pan Seok wants to keep Dae Gu out of danger, then he needs to stop. This is the only thing Killer Boots can do for them and he ends the meeting. Pan Seok stops him with one final thing he wants to say which is I’m sorry and thank you. Pan Seok and Dae Gu stake out Madam Yoo to wait for her to leave the house and both are sweating buckets hiding in the car. Pan Seok offers Dae Gu food and drink which he declines first but eventually both of them are eating and sweating together. They eventually give up and start the engine and turn on the air conditioner. Pan Seok wants to know why Dae Gu went to visit Killer Boots and Dae Gu asks the same question back. Their conversation is interrupted by a lawyer wanting them to stop the investigation because the victim and the attacker have settled in advance. Dae Gu claims this settlement letter has no legal effect because it was signed in advance of the attack. The lawyer argues that it was signed afterwards and there is a witness who worked in the VIP room to testify to that effect. Pan Seok declares they will find a witness to testify to the truth which was the letter was signed beforehand. The cops go interview all the employees who work at the department store and track down the two in particular who worked the VIP room that day. Dae Gu finds the employee who recorded the video but she claims to not know if the settlement letter was signed before or after the attack and wants nothing to do with this case. 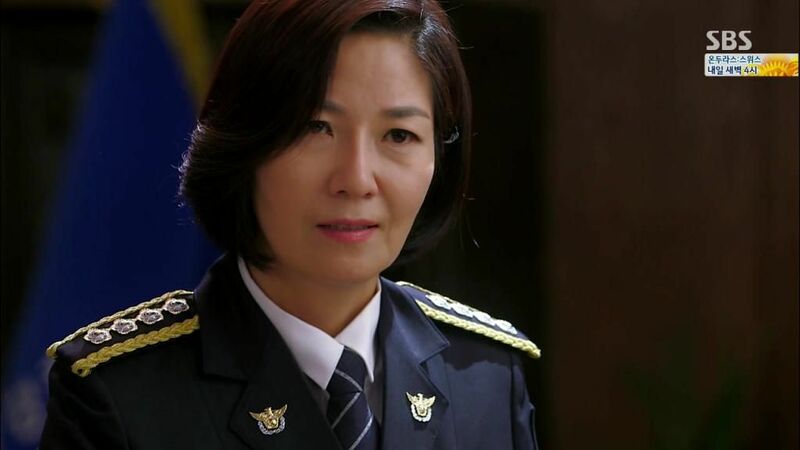 Chief Kang pulls Soo Sun aside to counsel her to let her mother’s attack go. Chief Kang explains that the attacker is the daughter of Congressman Yoo. If this matter gets blown up, people close to Soo Sun might get hurt. Soo Sun is confused but Chief Kang cannot go into specifics and asks Soo Sun to let it go to avoid a bigger catastrophe for everyone. Dae Gu pays another visit to Soo Sun’s mom to perform a magic trick with a necklace to cheer her up. Soo Sun smiles to see how nice Dae Gu is to her mom. The partners walk through the park and Dae Gu gives Soo Sun music to listen to and encourages her to be strong. It makes her cry when she sits down to listen to the song and Dae Gu stands in the distance and reaches out his hand seemingly to brush away her tears. Ji Gook tries to text Soo Sun and ask how she’s doing but ineptly sends the wrong emoticon and freaks out about it. Tae Il and Sa Kyung sit outside and chat and turns out they met overseas on a trip and bonded. She asks if he’s doing well and Tae Il asks for a hug as what a person does for someone else in need. Sa Kyung gives Tae Il a hug which is when Pan Seok happens to walk by. He initially thinks Tae Il is being hugged by a pretty girl and tries not to interrupt until he realizes in shock that the hugger is Sa Kyung. Pan Seok immediately walks away and tells Sa Kyung to discuss it later. Sa Kyung doesn’t want to wait because then it’ll never get discussed. She is still waiting for him to explain why he signed the divorce papers. Dae Gu follows Madam Yoo to her gym to talk with her which pisses her off even more that Dae Gu is so persistent. She gets a background report on him and reads it in growing horror as she discovers that he is the son of the woman who died in Masan twelve years ago. She calls up her daddy dearest and asks if her dad knew all along that woman’s son is still alive? Dun dun dun. How many detectives does it take to change a light bulb? 6. One senior detective, his sidekick and 4 helpers. Sigh. Every week Every week I think this. 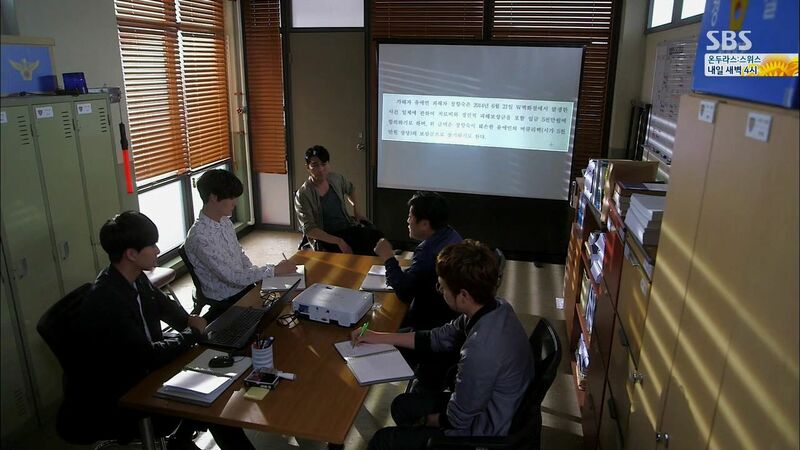 No wonder nothing gets solved in Gangnam Kdrama police land. At least they’re no longer breaking the lamp in the process, LOL. Little steps, little steps. Hey its crazy stepmom from Giant..The difference is I felt some pity for her in Giant whereas here I can’t wait for her downfall. How can someone be so shameless and evil? It’s funny to me because at this point Dae Gu has put it all behind him and isn’t out looking for his mom’s killer anymore. It’s the stupid Congressman and now his daughter stirring up trouble at this point that will be their downfall. They’ll probably do something stupid like try to kill Dae Gu again, and raise everyone’s alarm bells and then get caught. They are like Violent Tweedle Dee and even More Violent Tweedle Dum. lol! I’ll be referring to them as that from now on. Ugh, I hate that congressman’s daughter. Every time she appears, I want to punch her face. I hate her more than her father. Argh, I have to do yoga to calm down. Anyway, I love the song chosen by DG for SS. For people who want to read a more positive recap please read the one in dramabeans. This is full of crap! Baby recap?? If u hate it this drama dont watch or even better dont recap it. anyway for those who love Daegu’s recommendation song to SooSun..
the song is from Coffee Boy, titled I’ll Always be on Your Side. or if you want to download it, just type “커피소년 내가 니편이 되어줄께 mp3”.